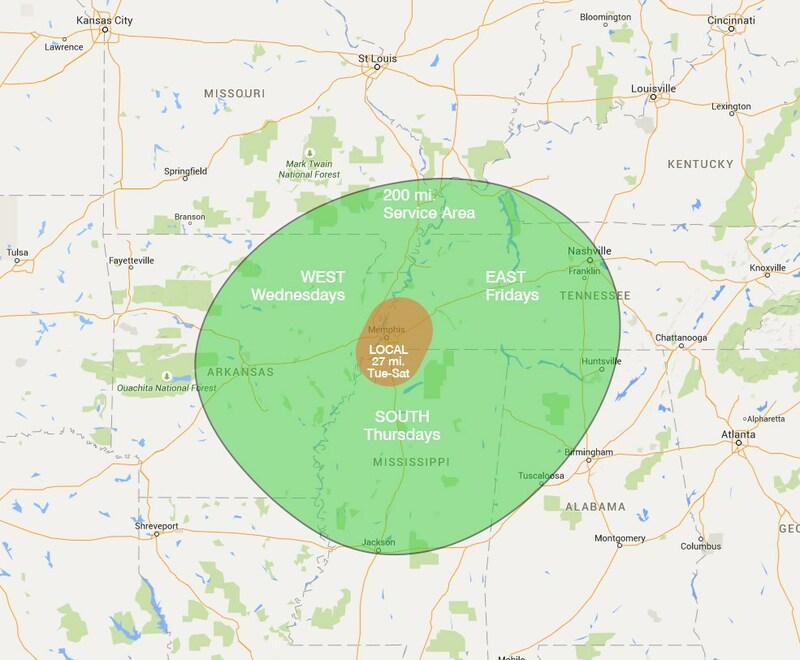 The Great American Home Store serves the Mid-South area within a 200 mile delivery radius from Memphis, TN. Because we want to ensure that your furniture gets to you in the best possible condition, we deliver everything ourselves using our own White-Glove delivery service. Since delivery beyond 200 miles increases the likelihood of damage, we currently do not offer delivery beyond 200 miles.